Death Valley National Park is a very popular destination for RV's year round. God only knows who can handle the 100+ temps in the summer, but some people love it. 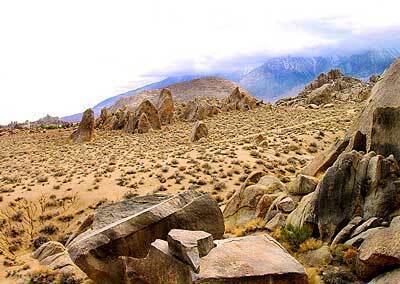 Panamint Valley is another camping option, just to the west. Other great desert parks are Mojave, Red Rock, Joshua Tree, Anza Borrego, plus Highway 395 has amazing contrast in gorgeous terrain & spectacular views along the Eastern Sierra. 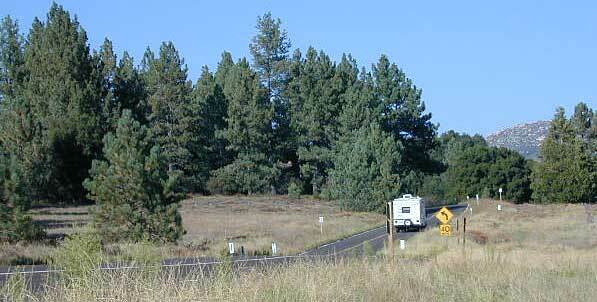 The very best RV camping is done outside of campgrounds along the backroads. 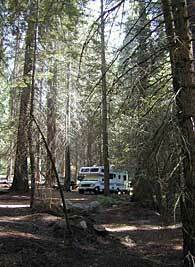 Away from the crowds, noises of towns, campgrounds, little to no fees, & plenty of scenery awaits the adventurous one. Bears breaking into RVs for food is an extremely rare occurance. Food may be stored in a hard-sided trailer, motorhome, or recreational vehicle (RV) as long as the food is not visible or odoriferous from the outside. Windows and doors must be kept closed if the vehicle is unattended. Dispose of garbage frequently in animal-resistant dumpsters and cans. Don't leave any garbage in your campsite, especially at night. 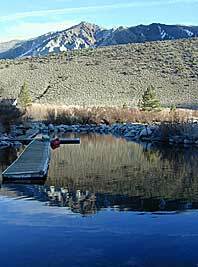 Hwy 395 offers amazing amounts of camping for RVers, from deserts to alpine hide aways. Certain small highways & narrow paved roads in California restrict the length of vehicle. CalTrans and maybe some signs recommend RV not use certain routes. 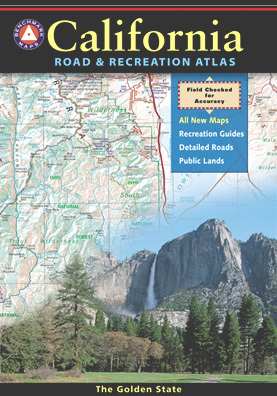 Many of the Sierra Nevada passes are chalenging for motorhomes, so the department of transportation has come up with a thorough list. Below is a partial list of some of these roads. Eldorado National Forest - Hwy. 4 from Lake Alpine to Carson River.